Right this minute, if you type “mobile usability testing tools” into Google Search, an article I wrote last May pops up as the #1 link! I got really excited about this, nerded out a little bit, and showed my daughter. 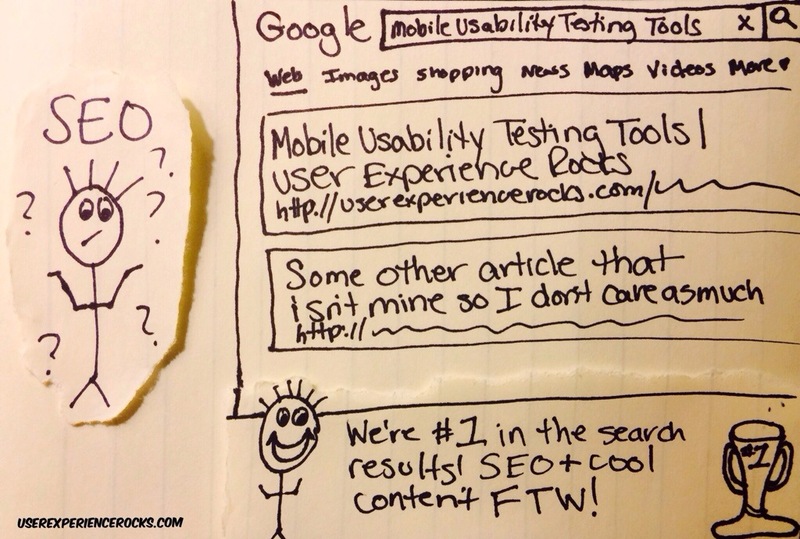 Sooo… I decided to draw a quick sketch about SEO, quality content and search rankings. Then I explained that SEO stands for Search Engine Optimization. SEO can help the crawlers along, but killer content is definitely king. Great UX: It does a body good!